There is cycling track in Norikura Kogen, Japanese alps. You can ride into the beautiful nature in the cool highland on summer and with seeing the autumn colors on autumn. We recommend people who love outdoors to enjoy mountain bike. There are some special mountain bike trail for the people who join the mountain bike guide tour. You can rent a bike at Norikura Kogen. We highly recommend mountain bike !! 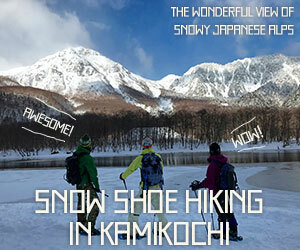 Northstar is located near Guesthouse Raicho are organizing the special mountain bike guide tours. They arrange tours for Beginner, Intermediate, Advanced and Family. Mountain bike trail is allowed to the only guide tour for safety and maintenance. Also Mt Norikura is most famous hill climb spot !! For detail of hill climb, please check below content. Norikura tourism association and Northstar is now making the new mountain bike trail !! There are many activity in Norikura Kogen. Please click below for Guesthouse Raicho room reservation.